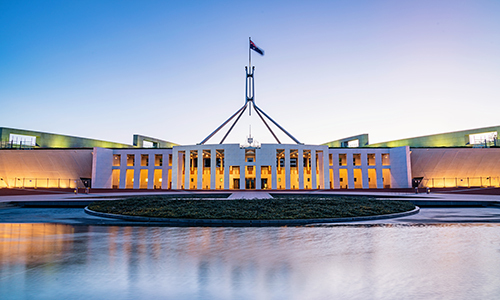 The Law Council has welcomed the bipartisan committee recommendations to improve the Government’s electoral funding and disclosure reform bill, noting that a number of the recommendations address its concerns. The definition of ‘political purpose’ should reflect the purpose of the activity (rather than the activity) so as to exclude charities carrying out their charitable purposes. Law Council President, Morry Bailes said it was appropriate for the Australian Parliament to protect the electoral process from malevolent foreign influence, but that we must not restrict legitimate advocacy by Australian charities for well-defined charitable purposes as a result. While the Committee did not go so far as to recommend a blanket exemption for registered charities, the report does contain a range of recommendations aimed at ensuring that the regulatory and compliance burden on the charitable sector is minimised. A further matter is the recommendation to create a ‘Transparency Register’ and the lack of clarification on how this register will operate in conjunction with the proposed Foreign Influence Transparency Scheme Bill 2018 (FITS Bill). Having overlapping registers under two different schemes has the potential to unnecessarily increase the regulatory burden of those affected. The Law Council is willing to engage with Parliament to ensure an appropriate definition of political expenditure is reached and that there is a harmonisation of any registers created under this Bill and the FITS Bill.